Home » Publications » Principles of Drug Abuse Treatment for Criminal Justice Populations - A Research-Based Guide » How long should drug abuse treatment last for individuals involved in the criminal justice system? How long should drug abuse treatment last for individuals involved in the criminal justice system? While individuals progress through drug abuse treatment at different rates, one of the most reliable findings in treatment research is that lasting reductions in criminal activity and drug abuse are related to length of treatment. Generally, better outcomes are associated with treatment that lasts longer than 90 days, with treatment completers achieving the greatest reductions in drug abuse and criminal behavior. Again, legal pressure can improve retention rates. A longer continuum of treatment may be indicated for individuals with severe or multiple problems. Research has shown that treatment provided in prison and continued in the community after release can reduce the risk of recidivism to criminal behavior as well as relapse to drug use. Early phases of treatment help the participant stop using drugs and begin a therapeutic process of change. Later stages address other problems related to drug abuse and, importantly, help the individual learn how to self-manage the drug problem. Because addiction is a chronic disease, drug relapse and return to treatment are common features of recovery. Thus, treatment may need to extend over a long period across multiple episodes of care. Why do people involved in the criminal justice system continue abusing drugs? Why should drug abuse treatment be provided to offenders? How effective is drug abuse treatment for criminal justice-involved individuals? Are all drug abusers in the criminal justice system good candidates for treatment? Is legally mandated treatment effective? Are relapse risk factors different in offender populations? How should drug abuse treatment deal with these risk factors? What treatment and other health services should be provided to drug abusers involved with the criminal justice system? How can rewards and sanctions be used effectively with drug-involved offenders in treatment? What is the role of medications in treating substance abusing offenders? How can the criminal justice and drug abuse treatment systems reduce the spread of HIV/AIDS, hepatitis, and other infectious diseases among drug abusing offenders? What works for offenders with co-occurring substance abuse and mental disorders? Is providing drug abuse treatment to offenders worth the financial investment? What are the unique treatment needs for women in the criminal justice system? What are the unique treatment needs of juveniles in the criminal justice system? NIDA. "Principles of Drug Abuse Treatment for Criminal Justice Populations - A Research-Based Guide." National Institute on Drug Abuse, 18 Apr. 2014, https://www.drugabuse.gov/publications/principles-drug-abuse-treatment-criminal-justice-populations-research-based-guide. NIDA. Principles of Drug Abuse Treatment for Criminal Justice Populations - A Research-Based Guide. National Institute on Drug Abuse website. 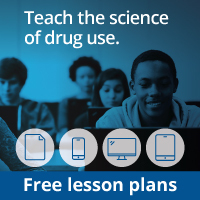 https://www.drugabuse.gov/publications/principles-drug-abuse-treatment-criminal-justice-populations-research-based-guide. April 18, 2014.